Google Caffeine is on the verge of being rolled out for real searches. In August 2009, Google unveiled a preview version of a "next-generation architecture" dubbed Caffeine that it had been secretly working on for several months. Web developers and power searchers were encouraged to provide feedback on the update, described as the first step towards improving Google's indexing times, relevancy and comprehensiveness. But Matt Cutts, head of Google's webspam team, was quick to offer reassurance on his personal blog that the search engine would not be transformed overnight. Having stated that "most searchers wouldn't immediately notice any changes with Caffeine", he added that the full launch will be postponed until after the holidays. There are two reasons for this delay, he explained. 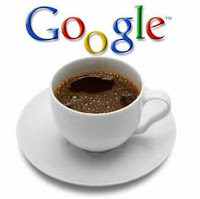 Firstly, it will enable Google to collect feedback and improve Caffeine gradually. And secondly, it will minimise the potential for stressing out webmasters over the holiday period – a peak time for online sales. However, Google has again given away very little about the details of the Caffeine update. It could turn out to be a major overhaul of how the search engine operates, which would obviously have serious implications for webmasters and SEO marketers. Or it could just be another one of Google's regular search updates, which for some reason has been given more publicity than the rest. To be honest, it's difficult to know until real users finally get their hands on the new-look Google. In the meantime, Google is continuing to encourage feedback on Caffeine. All we can say is watch this space.